Earnest “Earnie” Eugene Padilla, 59, died April 1, 2019, in Grand Junction. He was born May 23, 1959, in Salida to Johnny and Rachel Padilla. Mr. Padilla was a rancher by trade, and his family said that anyone who knew him thought he was the best all-around trainer you could get. He had a natural-born ability to get any horse to do what he wanted. They said that whether he was on the back of a bronc or leaning against the truck, he never backed down from a challenge. His family said he loved truly and completely, with every ounce of his being. His two daughters and his grandkids were his biggest pride. He never missed an opportunity to brag about his girls, Sloan Padilla and Trenidy Padilla. Mr. Padilla was preceded in death by his mother. 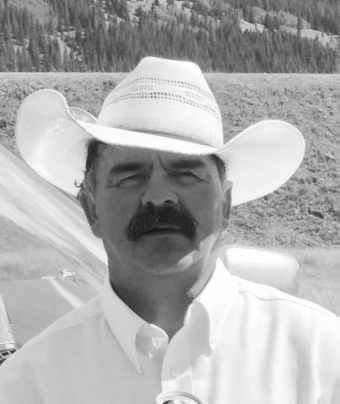 Survivors include his father, Johnny (Pat) Padilla; sisters, Valerie “Val”, Nita, and Annette; daughters, Sloan and Trenidy (Mike); stepdaughter, Dakota McWilliams; stepson, Wrangler McWilliams; granddaughters, Tori Cinch Sorenson, Riggin Monel Hardesty, Kadence Ann McWilliams, and Kezley Gyling; grandsons, Keanan Eugene Herberg, Braxton McWilliams, Steston McWilliams, Tate Gyling and Jensen Gyling; his first wife and friend, Dorothy Padilla; and friend Jesse Pettigrew. A memorial roping for family and friends will be set at a later date. Arrangements were with Browns Cremation and Funeral Service in Grand Junction.